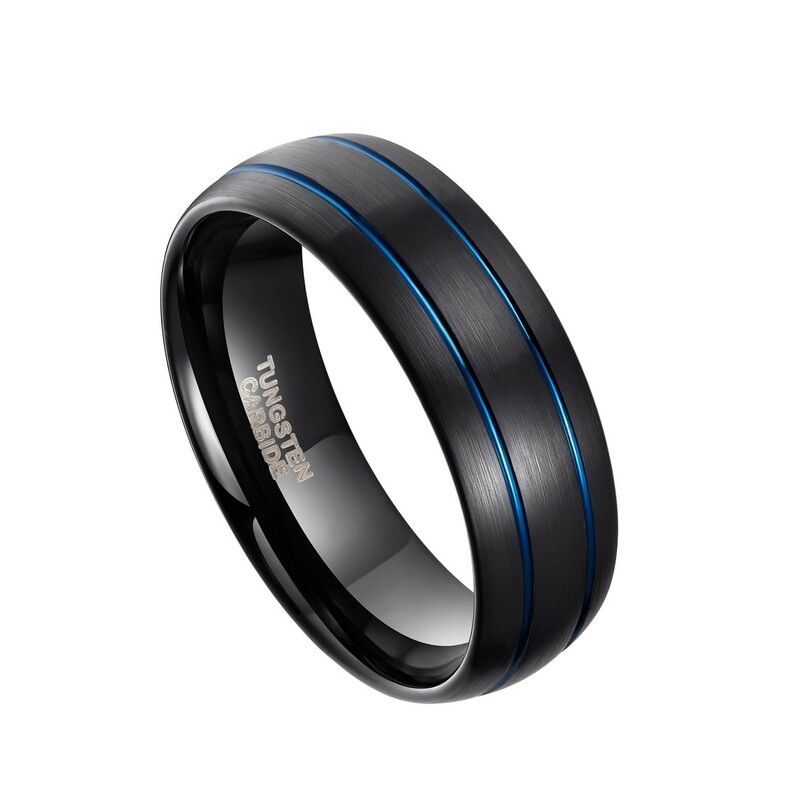 This black tungsten ring has two blue thin groove in the middle, and the craft it uses is brushed. 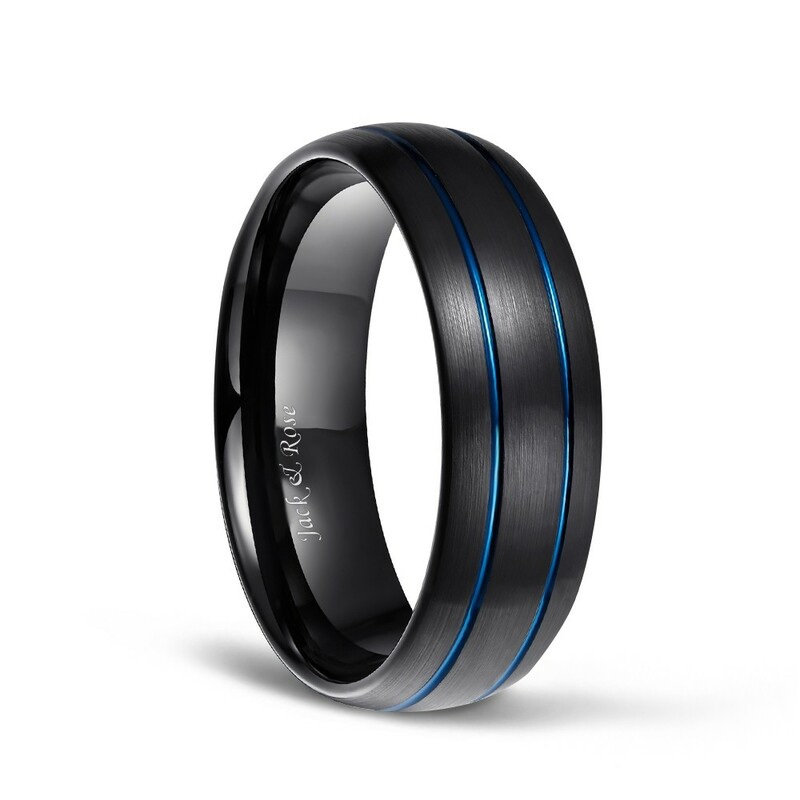 It is domed, which is more convenient for you to wear. 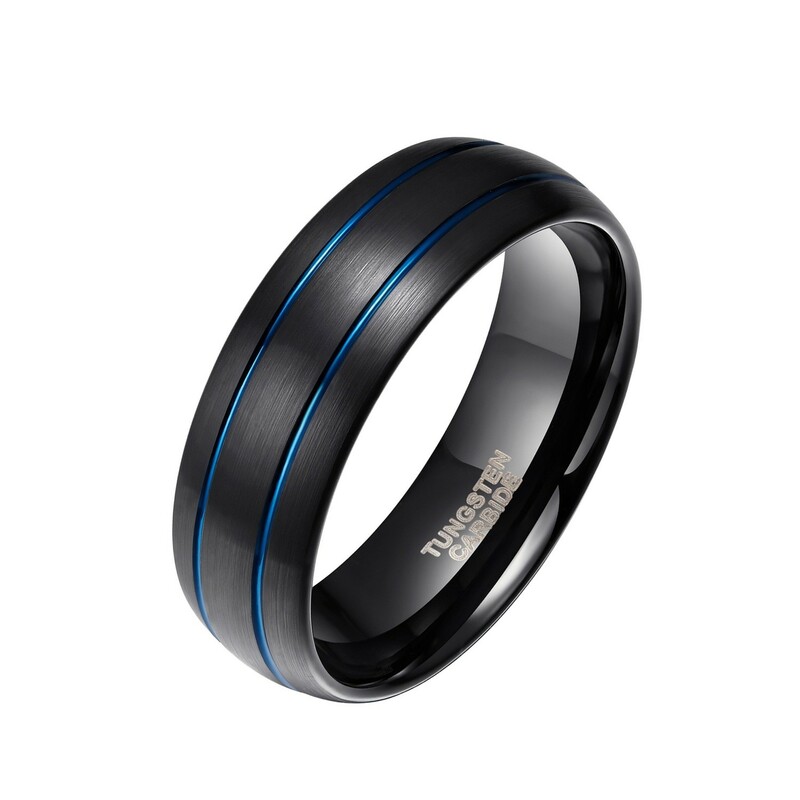 This ring uses tungsten carbide, which guarantees superior strength and never changes color. You don't have to worry about allergies and scratches. This is not the case. We offer you a price that you can accept and provide you with a sincere and satisfactory service. 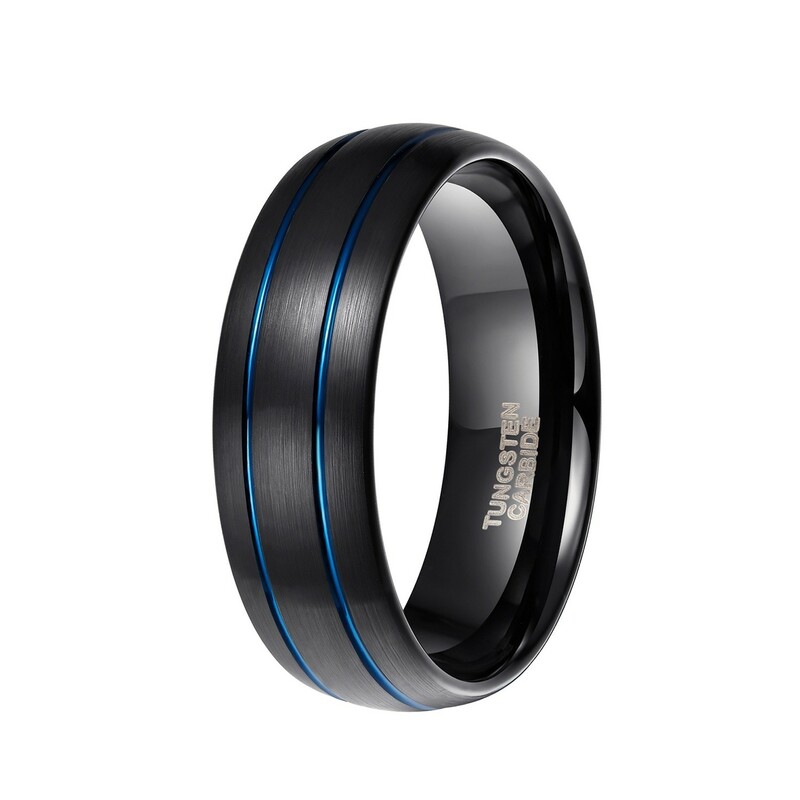 It is suitable for wedding, engagement, anniversary, birthday and so on. Got it before expected delivery time. Great ring looks expensive. Nice ring looks very expensive. Great buy for the price and very Comfortable. Bought this for my husband and he absolutely loves it! Great buy. Beautiful ring!! Beautiful Presentation!! Love this ring!! Will purchase from this seller again! Its great! been trying to find some rings to wear, but i'm glad i ended up buying it online! Yes, it can be carved. 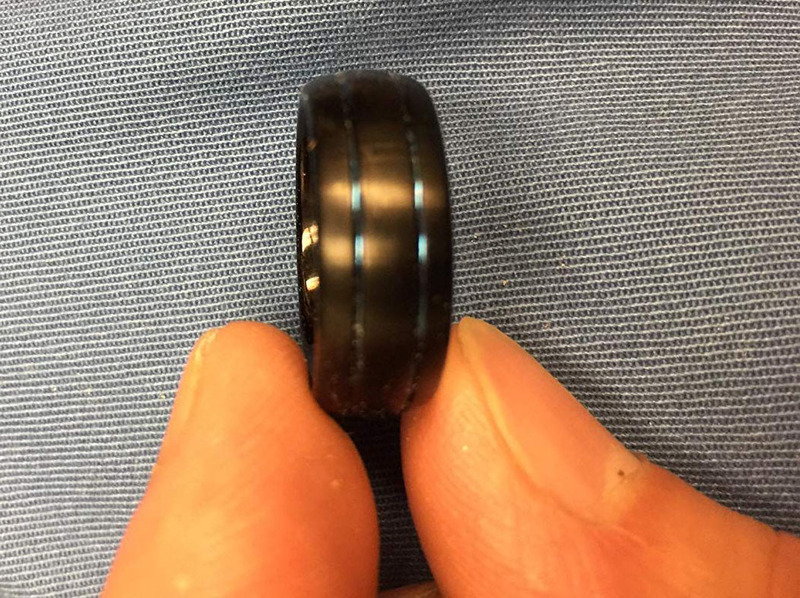 Yes, this ring comes in size 13. 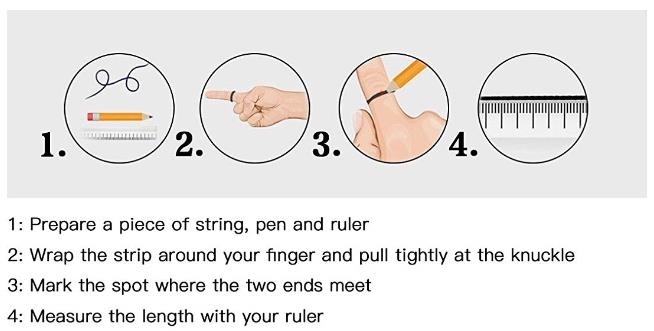 It is skin-friendly and will not make your fingers green. Please be assured.